AboveNet, Inc. is a privately owned company having their corporate office based at White Plains, in New York City. They were categorized under the company of Local Telephone Communications. They dealt with leasing dark fiber and even managed several networking services to government agencies and communications carriers. They even served various customers over a wide range of industries - retail, health care, financial service and even media. Apart from this, they even had operations involving Tier 1 IP network, which allowed virtual private network services (VPN) and data transport. Zayo Group, LLC acquired AboveNet in 2012 in a deal that was valued at around $2.2 billion. There are currently 0 consumer reviews about AboveNet, Inc. available. Share your review. 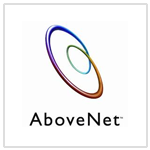 Please take a note that you are about to post a public review about AboveNet, Inc. corporate office on CorporateOffice.com. This review will be public, so please do not post any of your personal information on this website. If you would like to contact the corporate offices of AboveNet, Inc., please use their contact information such as their phone number, website, and address listed above to contact them. However, sometimes staff from AboveNet, Inc. headquarters do read the reviews on this website.